You may have heard whisperings of Aisle Society so let me give you the full scoop. 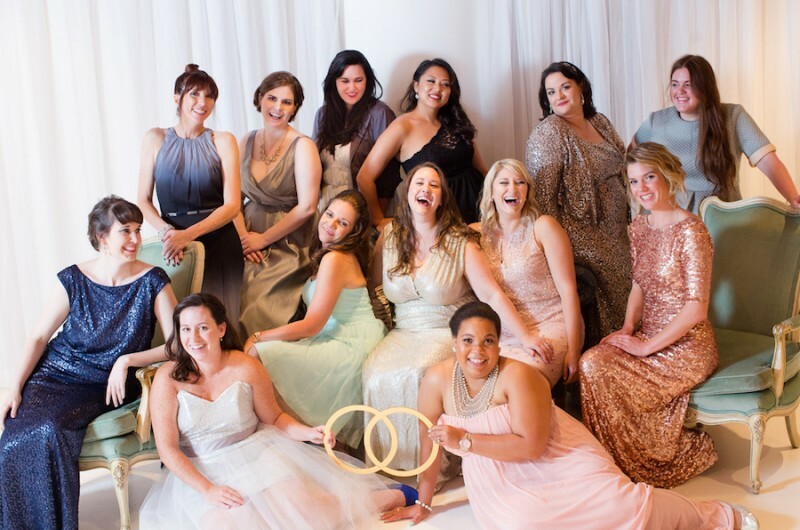 It’s a collective of 30 wedding bloggers from all over the globe — I’m talking from New Zealand to New York — who have come together to create the ultimate hub for wedding planning inspiration. Mark my words, it’s going to change the wedding industry, and I’m thrilled that Love Inc. is a proud member. During NYC Bridal Market in October, we debuted our brand to the world with the help of our friends at Minted, and with the website launching very very soon (!!! ), we wanted to share the stunning photos captured by Jessica Haley Photography and video by NST Pictures. We teamed up with the creative talents behind Color Pop Events and Juli Vaughn Designs to create a killer party at 404 with Minted styling stations, a gorgeous lounge from Octavia + Brown, a Bubbly Bar hosted by Honeybook and, of course, photo booth fun by Royal Photo Booth. Delicious passed hors d’oeuvres by Ryan Brown Catering (I know, so many Love Listers on this list — do we not have the best vendors in our directory? ), sweets by Haute So Sweet and a beautifully branded signature cocktail that tasted like heaven (we’ll be sharing the recipe later this week). I've Partnered With The Knot to Bring Even More Inclusivity to the Wedding Space!